Being charged with a crime at any age can be devastating and traumatic, but for a juvenile, there is so much more on the line. Not only might that child have no idea what their rights are, they may also have just lost the right to have a successful future. However, in the state of New Jersey, the juvenile court system leans towards trying to keep juveniles out of jail and put them in situations that may rehabilitate and lead them towards a better future. New Jersey considers anyone under the age of 18 to be a juvenile in the eyes of the court. The state also requires that a juvenile has legal representation for the duration of their case. When the child is released into his or her parent’s custody after being arrested, they may be required to go to a rehabilitation facility. This is generally only required when the juvenile’s crime was related to drugs. Juvenile crimes in New Jersey are handled in the state’s family court system. Due to the fact that the case is being held in family court, the case is not eligible to be subject to be heard by a jury. 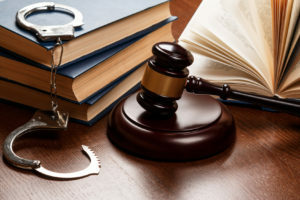 If you are the parent of a child who has been charged with a juvenile crime, contact an experienced criminal defense attorney in New Jersey who can provide your family with the assistance they need during this difficult time.